Item # 310999 Stash Points: 2,995 (?) This is the number of points you get in The Zumiez Stash for purchasing this item. Stash points are redeemable for exclusive rewards only available to Zumiez Stash members. To redeem your points check out the rewards catalog on thestash.zumiez.com. 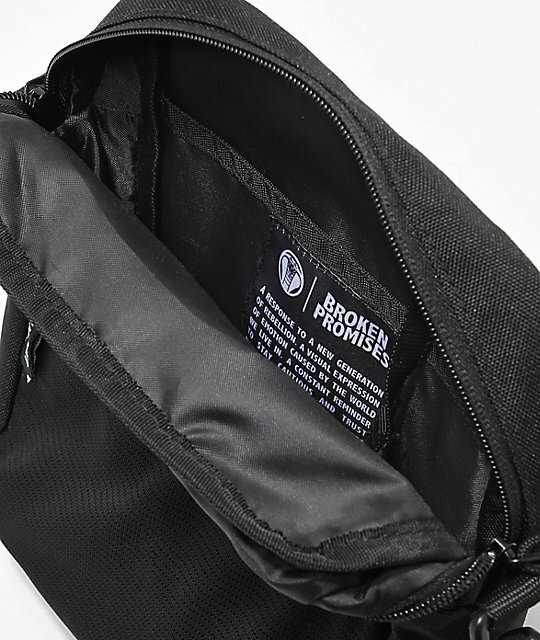 Give your daily needs a high quality bag to holster them, with the Broken Promises Side Black Shoulder Bag. 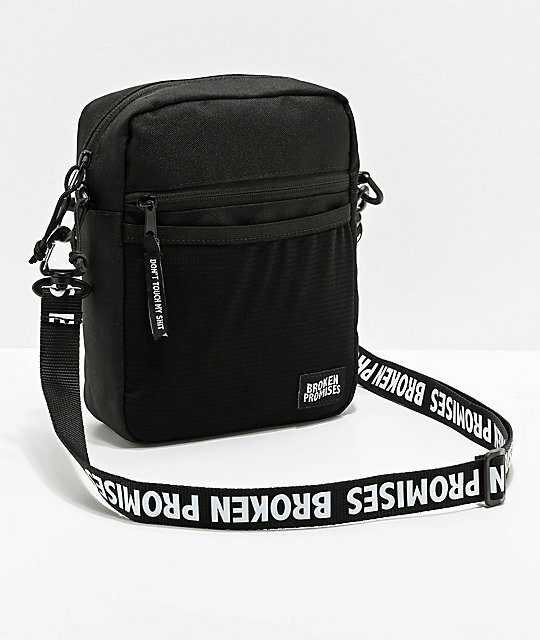 This classic all-black shoulder bag comes with a logo patch adhered to the lower right for branding, while the adjustable shoulder strap comes with tons of script logos as well for more of the same. Constructed with one main compartment and one front pocket both with zip closure, this bag has plenty of safe storage, while the pouch at the very front provides even more space, just in case. 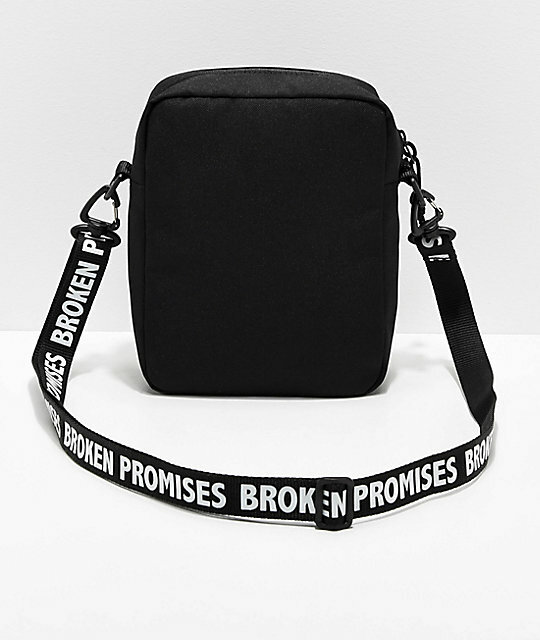 Side Black Shoulder Bag from Broken Promises. Broken Promises logo patch at lower front-right. Removable adjustable webbed strap with secure clips and script logo detailing. 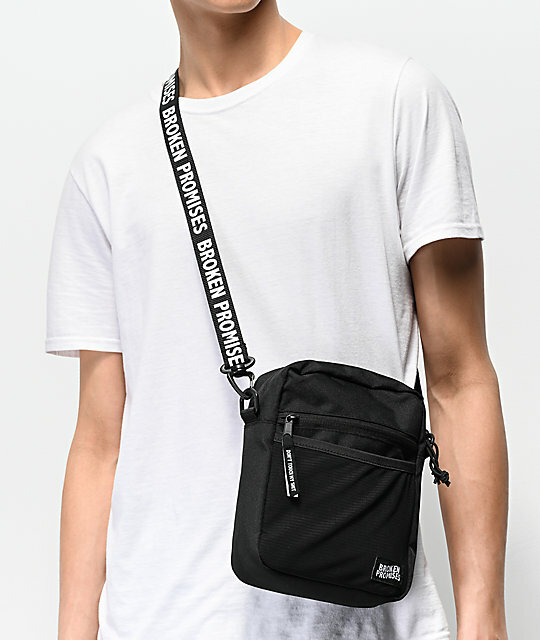 One mesh front pouch pocket. Main zippered compartment with internal pocket. Dimensions: 8" (L) x 6" (H) 3" (D) &vert; 20cm x 15cm x 7cm.